Home Blog All About Metacam: How Long Does Metacam Stay in a Dog’s System? Are you a dog owner or just a dog lover? If you are one of these two, seeing a dog suffering from pain or any disease is a painful sight for you. It seems like you are willing to move mountains to give them the medicine that could treat them immediately. Before, I tried to look for pain relief medications for my dogs, but I was worried that they could have side effects. Fortunately, I found the perfect medicine that I can use on them. It is Meloxicam, a drug made for dogs and distributed under the Metacam brand. Meloxicam can be used to treat many diseases that your dog have. Continue reading this article to know more about this dog medicine. 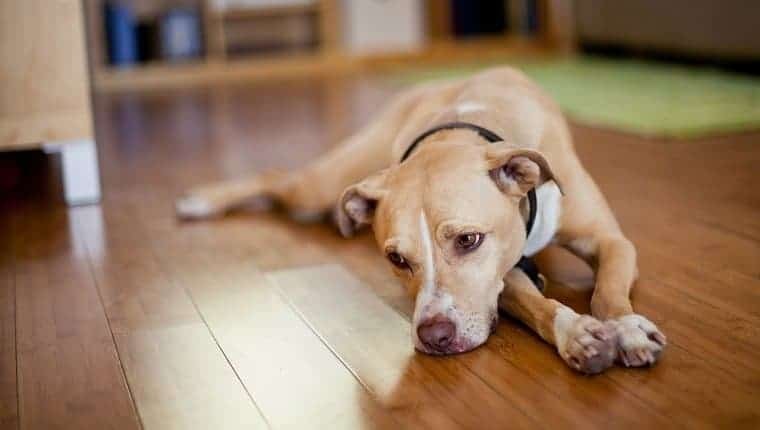 Frequently asked questions are answered in this article like is Metacam safe for the dog, how long does Metacam stay in a dog’s system and many more. Meloxicam is a non-steroidal anti-inflammatory drug. It is originally for humans, but veterinarians also prescribe this medicine to treat pain and inflammation in dogs. The drug targets musculoskeletal disorders and aids in managing the stiffness that comes with those disorders. It can be beneficial for dogs that have a specific medical history like hip dysplasia and osteoarthritis to use NSAID medicines like Metacam. As we all know, the body has a natural response to infection or injury, which is inflammation. So does it mean that is alright for our dog to experience inflammation and just let the dogs heal without doing anything? The thing is, if you don’t treat inflammation it can lead to other diseases like arthritis. Fortunately, Meloxicam is here to save our dogs and us from these kinds of problems. Drugs like Metacam can lessen tissue inflammation on your dogs. It also regulates your dog’s hormones that cause inflammation and pain. As a result, your dog will feel better as soon as possible. Metacam is available in different forms. You can purchase the Metacam injections or Metacam oral suspension, which can be liquid or solid. It all depends on which form of medicine you think is most suitable and convenient to administer on your dogs. However, you need to remember that this medicine cannot be purchased over the counter. You need to ask for a prescription from a veterinarian. What’s the difference between Meloxicam and Metacam? Meloxicam and Metacam might be referred to as two similar things, but they are two different words. Meloxicam is the name of the anti-inflammatory analgesic drug that was approved by the Food and Drug Administration or FDA. On the other hand, Metacam is the name of the company that is producing Meloxicam for your fur babies. Despite being considered as two similar terms that refer to the same thing, these two should not be interchanged. What are the benefits of Meloxicam to your dogs? You might be thinking, what Meloxicam can do to your dogs that other medicines can’t. First of all, Meloxicam can lessen your dog’s inflammation and pain. With that said, a lot of vets have been prescribing this medicine to dogs suffering from osteoarthritis. Aside from treating inflammation, Meloxicam is also useful for treating other muscle and bone disorders as well as their symptoms. Moreover, dogs that suffer from post-operative pain can take Meloxicam. It can effectively prevent new inflamed areas from forming and prevent further complications and pain. How long should your dog take Metacam? I have already mentioned earlier that this medicine cannot be purchased without a prescription. So along with it, the vet will also give you a treatment plan. This means that you will only be using the drug on your dog for a certain period. The vet might also instruct you to come back and evaluate your dog’s condition and determine if the treatment must be continued. Unfortunately, if your dog has osteoarthritis, it has to live with it for the rest of its life. How long does Metacam stay in a dog’s system? It depends on your dog’s half-life. The amount of time that the drug level in your dog’s blood is reduced by half is called the half-life. For dogs, rats and humans as well, it is around two to three hours. What are the side effects of Metacam? When giving your dog this medicine, you should watch out for side effects. 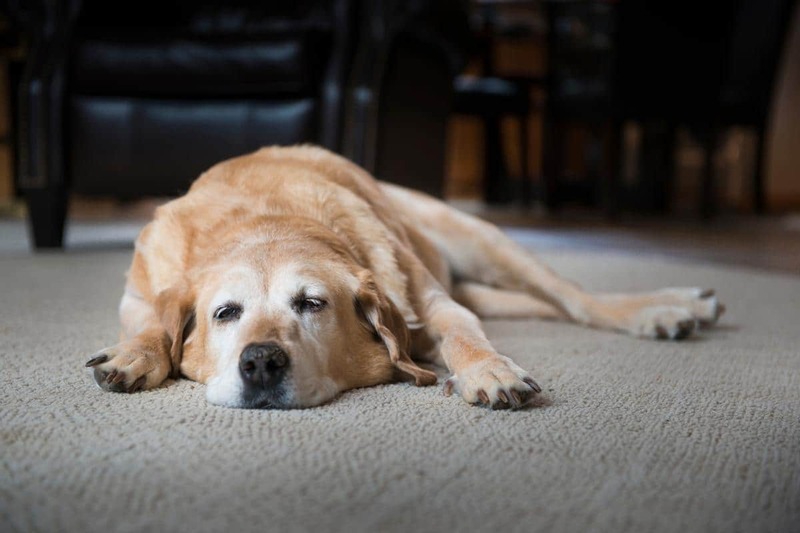 The most common side effect that your dog can experience is an upset stomach or bowel. It can then lead to more severe cases like developing a gastric ulcer, excreting tarry or bloody stools, having abdominal pain, and vomiting blood. Aside from those, you should also watch for unusual symptoms like change in behavior, anorexia, polyuria, polydipsia, acquire jaundice, and fatigue. If you observe your dog showing any of those symptoms I have stated above, it is best to bring your dog to the veterinarian. What is the appropriate dosage for Metacam? The dosage depends on your dog’s condition and weight. Usually, you will have to give between 0.09 and 0.1 milligrams per pound on the first day. After several days, you can lessen it to between 0.045 and 0.05 milligrams per pound. The latter is used as the maintenance dosage. Are allergic reactions and overdosing possible? Dogs are like humans, and they can experience overdose too. 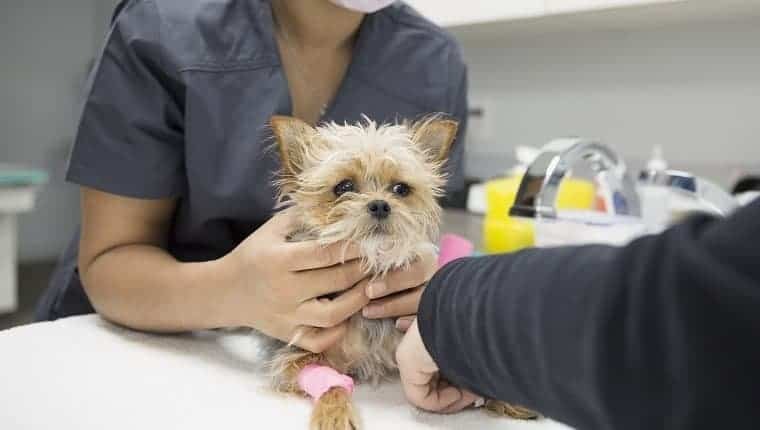 This means that giving them an excessive amount of this drug can lead to overdosing, which can be dangerous if not brought to the vet quickly. You should be careful with allergic reactions as well. Can Metacam be used on your small dogs? Yes, it can be used on smaller dogs, but there is a specific Metacam medicine for them that has low-concentration compared to regular Metacam. If your dog is taking other medications, it has a higher risk of experiencing adverse effects from the drug. It is best to go to the vet and tell the expert about the medicines that your dog is already taking, so you can avoid the medication from interfering with Meloxicam. Safety is always the priority when giving medication to our fur babies. 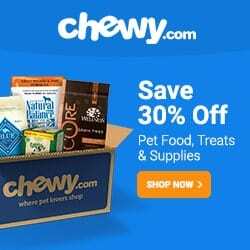 Previous articleWhole Paws Dog Food Reviews: Is It Really Worth Getting?